Aside from amazing waves is its price! 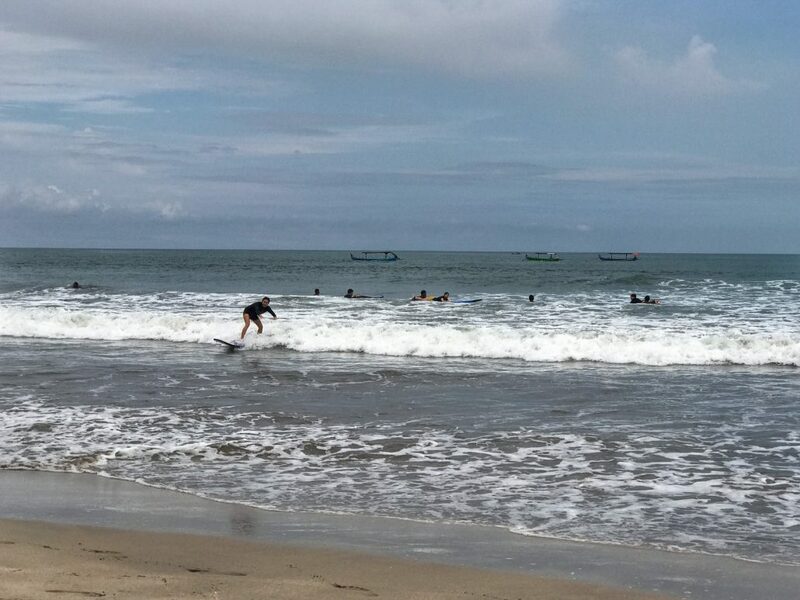 It is so much cheaper to surf in Bali! 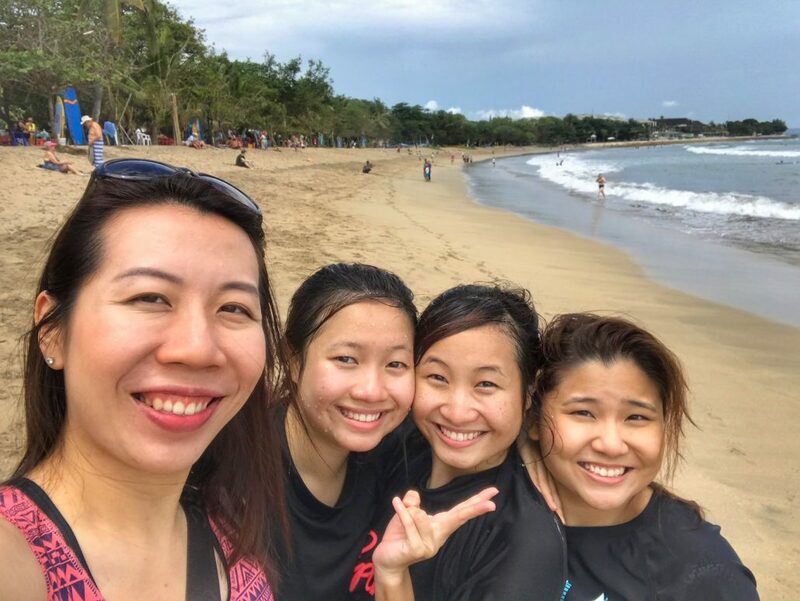 When we visited Australia, it cost around S$25/hour to learn surfing while in Kuta Beach, Bali it was S$ 13/per hour (1 to 1 coaching). Nonetheless, it is uncomparable because Australia is the home to some of the most beautiful stretches of coastline in the world! 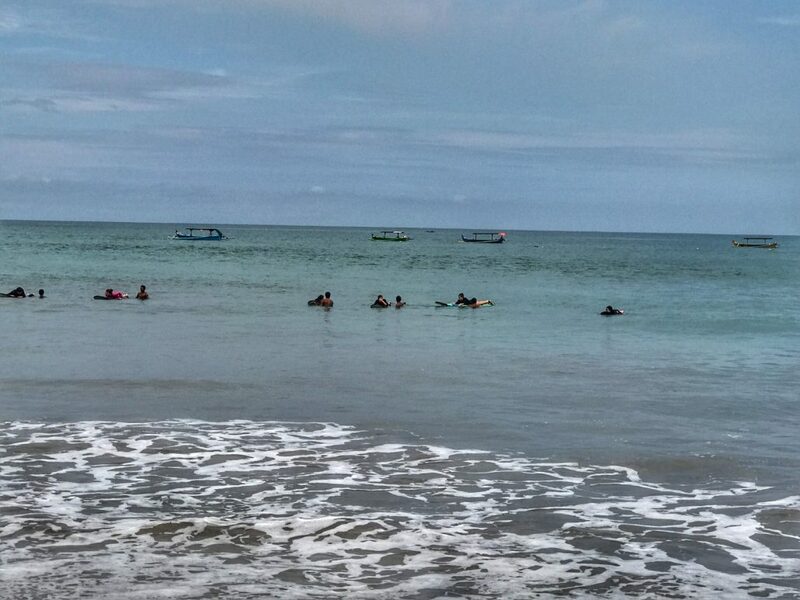 But for beginners who want to learn to surf, I recommend you to “test the water” in Bali because it is cheaper! 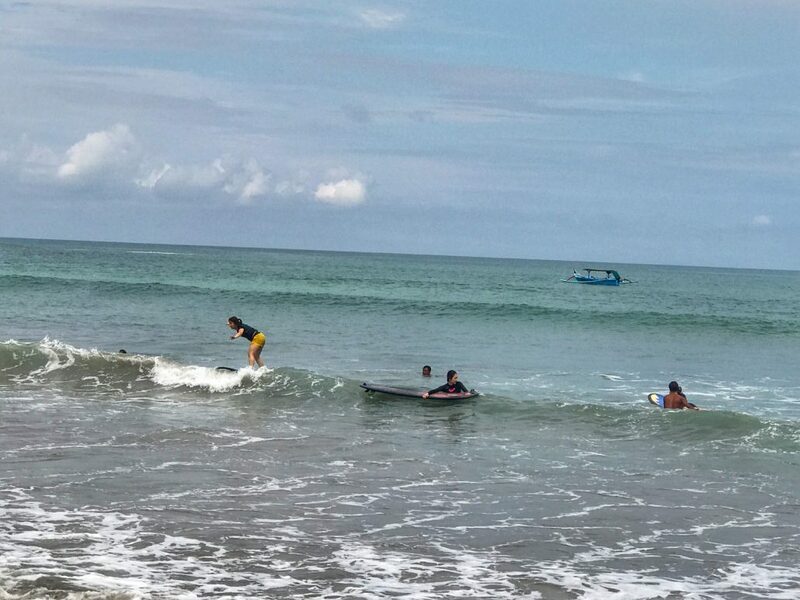 After you have learned in Bali, next time you go surfing, you already have some basic and experience in surfing! Twice as hard as flow rider in wave house Singapore. For 2 hours, you will be able to stand twice? 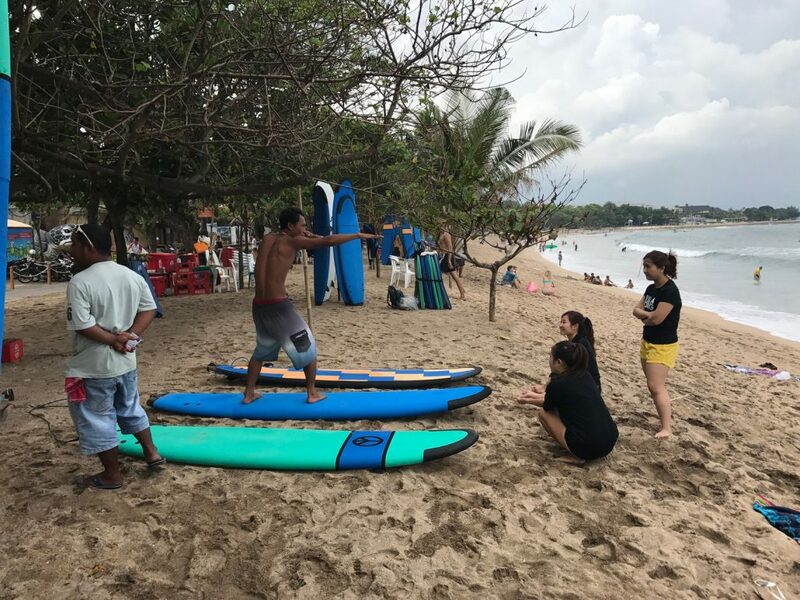 Getting a Surf Instructor in Kuta Beach, Bali! 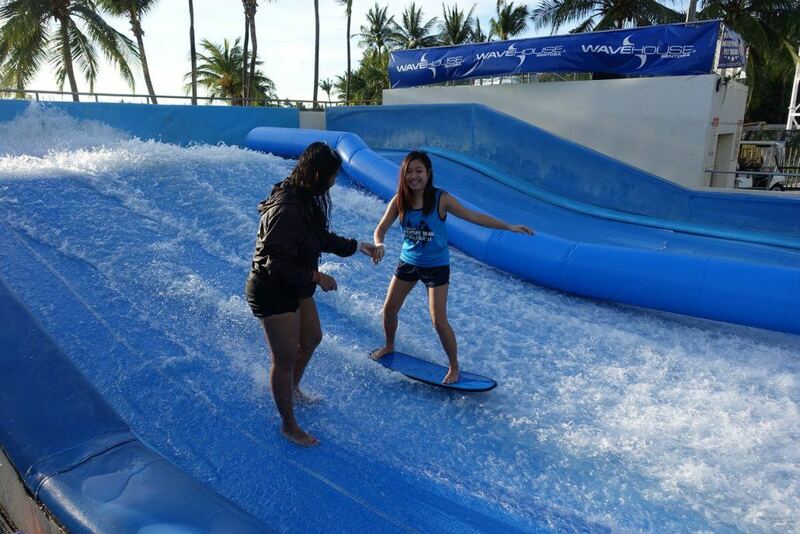 Getting a surf instructor is necessary for first timer. Unlike in Australia, you don’t need to book a lesson in advance because there are plenty of “instructors” waiting for you! 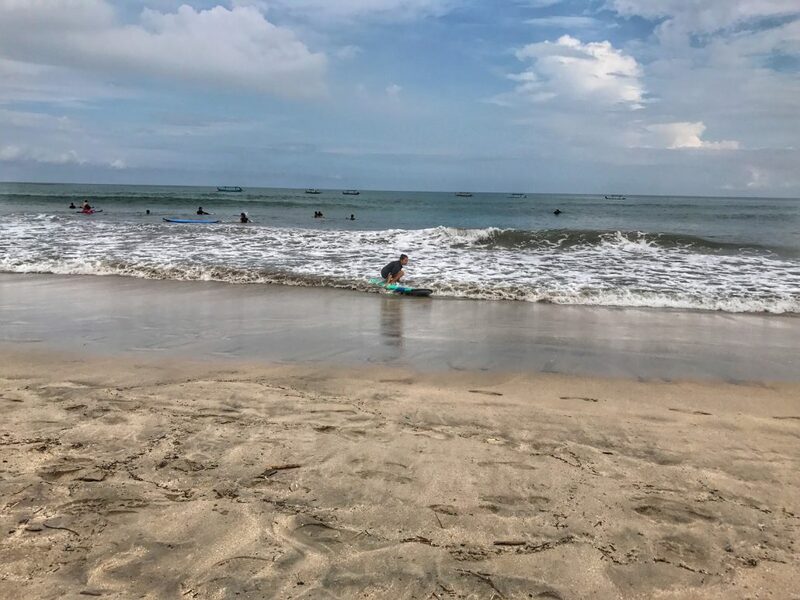 There are a couple to licensed, well-established surf school (typically those with a building/school) but plenty of “street side surf school” along the beach. 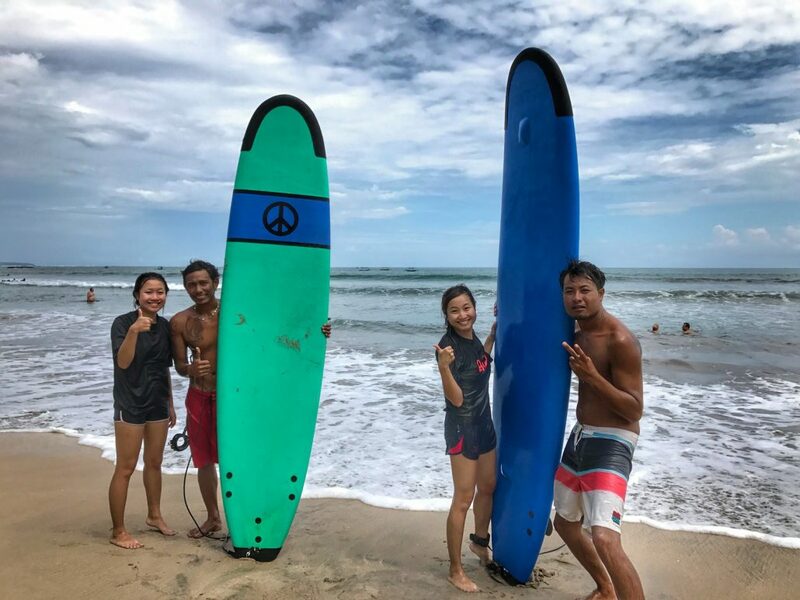 These street side instructors are local people that do not have proper certificates to coach beginners to intermediate surfers. 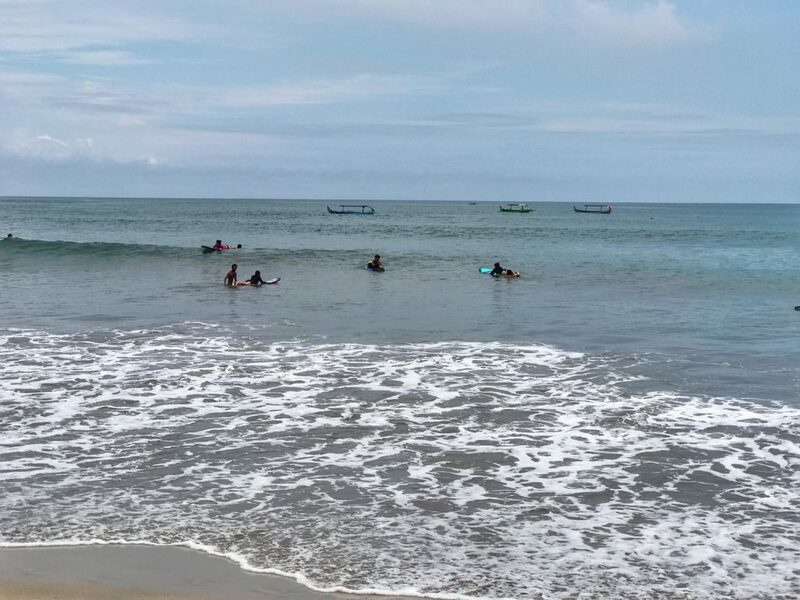 They will ask you continuously “You want to surf? How much you want? You tell me.” It’s kind of scary to even stop and express your interest by saying “berapa?” (How much?) Once you stop and ask, all of them would know you are here to try surfing and they start approaching you. I am not sure if they are allowed to get business in such a way. There were many security guards around but they probably had a conspiracy with the street vendors. 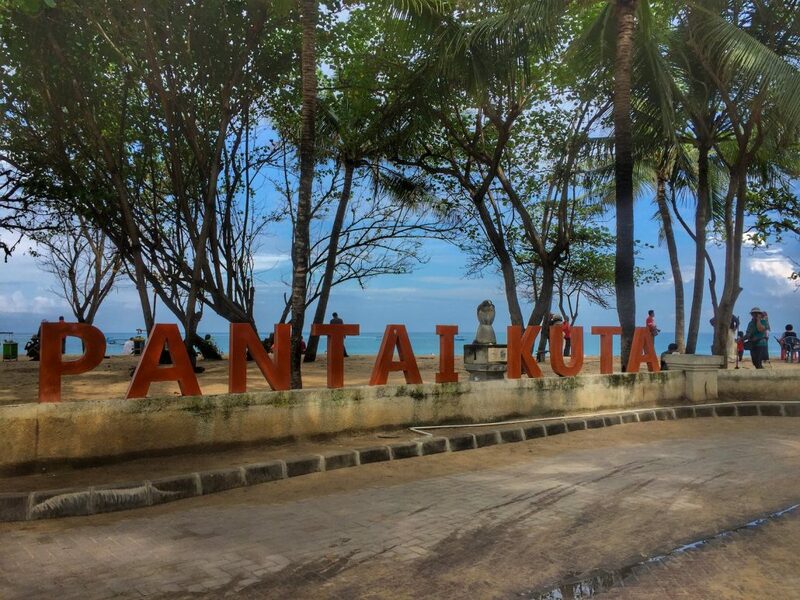 When negotiating make sure you set your requirement clearly before jumping into the sea. 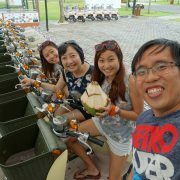 Typically, the rates are starting from IDR 250 K (~S$26) per person for 2 hours! 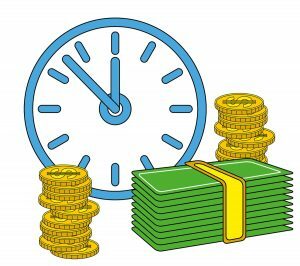 As usual, they would love to make as much money as possible so they would offer you a much higher price knowing that you would bargain. 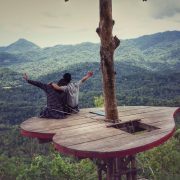 The first man offered us IDR 250 K directly but we left. The second offered us IDR 300K and lowered it to IDR 250 K after some bargaining. Deal made. So, this kind of things is a bit of luck and feeling! Sometimes too desperate for business will also kill you haha! The first guy was bothering us too much! Bobian he was trying to get business also. Even when we walk back after surfing he was still ranting and scolding us.😪😪 Just don’t care about them lor. I made it a point to put 2 hours as a point to note because of our experience! ✨Do check your starting time! Or just ask “what time is it now” when you start so they know you know what time you started! 2 hours – 1 hour with an instructor, 1 hour you play on your own. 👉Go for 2 hours with Instructors. It’s negotiable if they offer you the first, you can “bargain” with them. 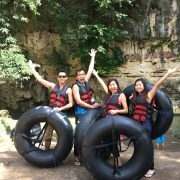 Having an instructor with you will make your life much easier especially for first timer! 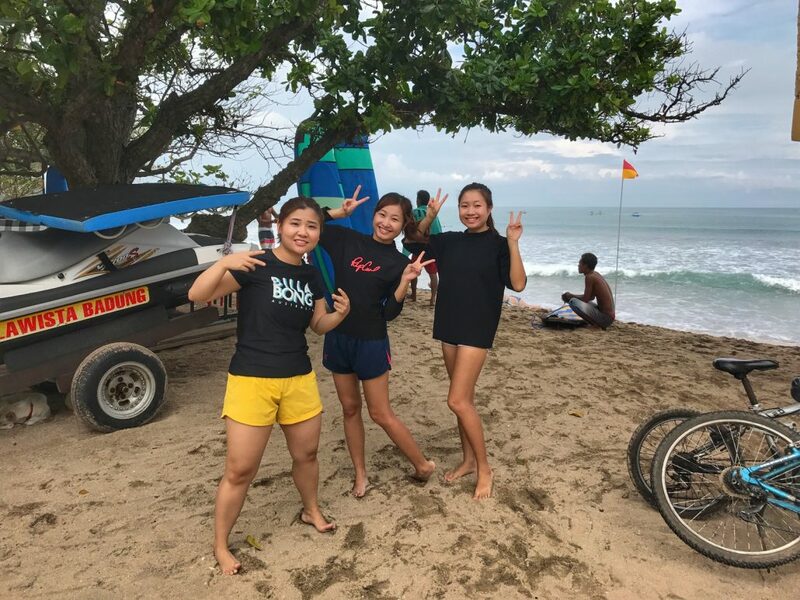 It’s also good to ask if rash guards or wetsuit are provided because it is definitely necessary to protect against rashes caused by abrasion. You spend most of the time on the board paddling and rubbing against the surfboard. It’s easy to get abrasions or blister especially if you’re not doing it correctly! It is important to wear rash guards to protect against cuts and burns. Where we got our surf instructors? This is where we got our surf instructors. So we manage to get our instructors with all the requirements above met from the beachside (those not legit ones). 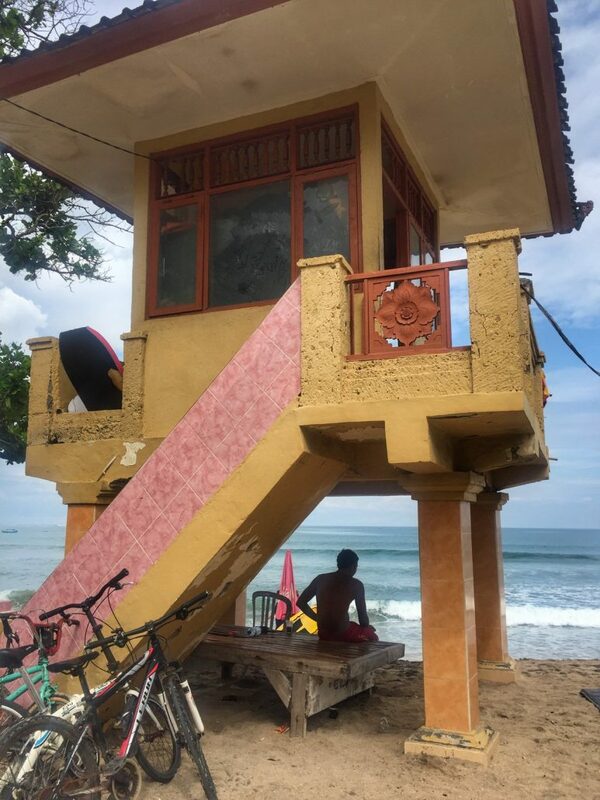 It was from this mini lifeguard post/small house on the beach. Lockers and wetsuit available inside. Looks quite okay, so we tried! There are 5 instructors in the team but our instructor told me that he is moving around and not always there. On some days, he’s a lifeguard at Kuta beach. On some days, he teaches surfing. Overall, all the surfing instructors were really quite nice! They helped us and provided pointers and we all manage to stand eventually! It may be slightly challenging to find them as they may not be permanently stationed there. Many would say it’s safer to go to the surf school, how safe is surf school I am not sure how unsafe are those local beachside surf instructors I also don’t know.🤔🤔 We got our surfing Instructors from the not legit surf school. Some people find it a bit dodgy, but I had a great experience and felt that was good and safe! They taught us pretty well and we manage to stand up in no time. I think most of them can teach quite well even they are not from established surf school because they basically in the sea every day. However, it is important that you gauge for yourself if you are uncomfortable with your instructors or they are not taking care of your safety. Don’t risk your life for that IDR 25K (~S$26). Now that you know how to get a surfing instructor, what is it like to surf? The lesson starts on land where you simulate being in the water. You will lie on the board, paddle and stand upon your instructor call! This prepares you for the real surfing in the water! Paddle paddle paddle! Head out to the sea! Make a u-turn and wait for the wave! Do a mighty push up and stand up! Then you fall into the water! Try again!! Try to do the super cool surf pose! YES! I DO SQUATS EVERYDAY! Hit the sand and repeat. I think he described it pretty well and that is a tiring process! Most of the time, you stand and try to do a super cool pose but after a while you get wiped out and fall into the “washing machine”. You get up and look for your instructor hoping that he will be coming to get you HAHA! This is why you really need an instructor! 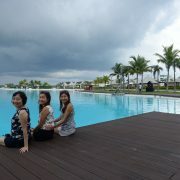 Word of advice: For first-timer, it is a must to have an instructor. Do not test the wave on your own! Safety First! We cannot beat the nature. TAKEN AFTER SURFING WE SURVIVED! 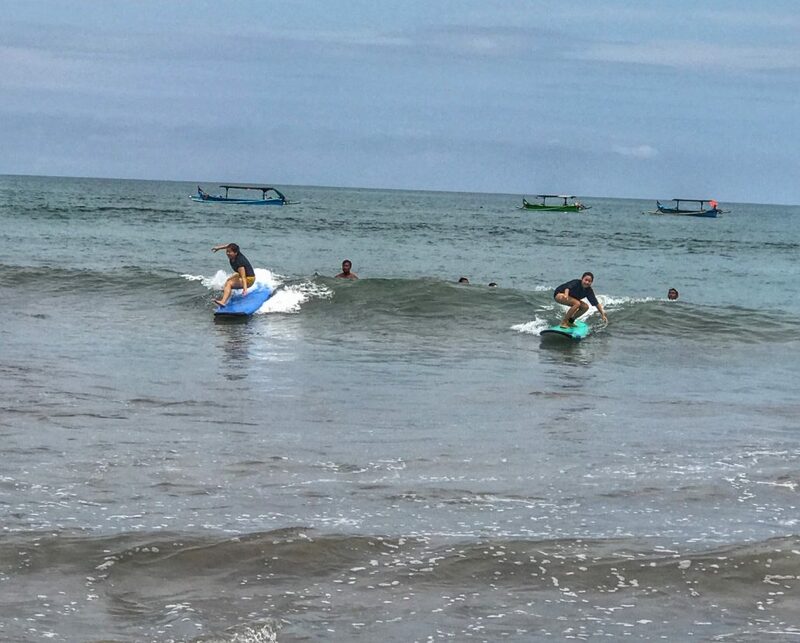 ✨If you’re heading to Bali, why not give surfing a shot!